If Belegarth sounds like something you want to try, and you have learned what we are about, then the next thing you need to do is meet with group members to have fun. The first step will be to determine if there’s an established realm near you. You can do this by checking the realm locator. If there is a realm near you, great! Your first step should be to find out when and where they hold their practices and go to one. If possible, contact them beforehand so they can tell you what you will need to do to fight with them. This also allows them time to find you helpful resources! Your new group will help you get the garb and equipment that you need to fight and there are also many community vendors that can help you get what you need as well as tutorials for how to make your own gear. It is more economical to build your own gear, but we recommend you find someone who can teach you the nuances of building safe Belegarth equipment before you try to make your own equipment. All equipment must pass a safety check by a seasoned veteran or local officer before use, meaning that expertise before you build can save you heartache at a safety check. To see how safety checks are conducted, click here. If there is not a realm in your immediate area, but there is one within traveling distance, it is a good idea to visit them once or twice to see how Belegarth works before trying to organize anything closer to home. Find out when and where the closest realm to you fights and let them know you will be visiting. They can teach you the rules and show you how to make weapons, which will save you a lot of time, money, and headaches. If you cannot travel to them, most realms will be willing to travel to you. If there are at least a handful of people in your area that are interested in fighting, let your neighboring realm know and ask if they could come visit you for an afternoon. They can bring loaner weapons for you to see and fight with and can teach you the rules. It is much better to learn how to go about fighting in person than from reading written material. You will find most Belegarth realms are excited about helping new groups get started. If there is no realm near you, don’t worry! Many successful realms have been started in this manner. 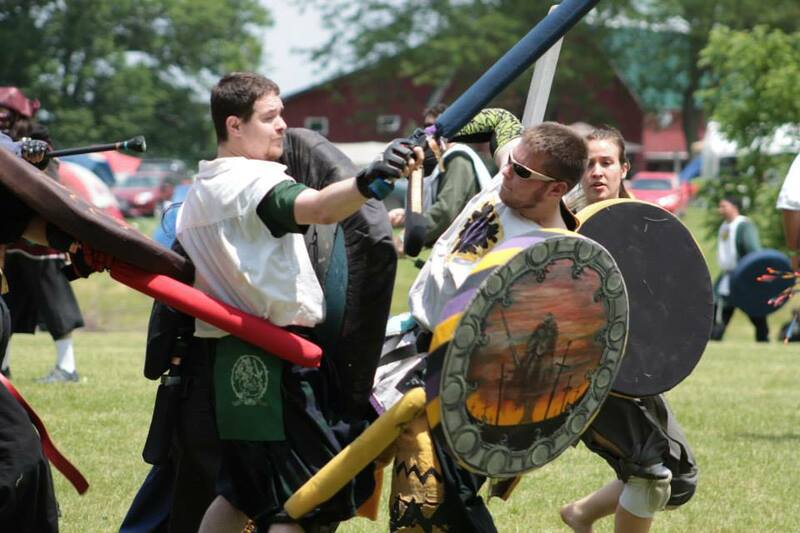 You will first want to read through the Belegarth rules, or Book of War several times; it can be a bit difficult to get through and confusing to people without any experience with foam fighting, so feel free to visit our forums or Facebook page and post any questions that you may have. There are many people, new and experienced alike, who regularly read this forum and will be happy to answer any questions you may have. Lastly, the most important thing you can do to ensure the success of your fledgling group is to trek to nearby events to see how everything works. Often events will teach you what is expected in terms of gameplay, weapons’ construction, and they can give you information on leadership. Sometimes larger events have classes to help you, but if they do not, then feel free to ask someone in charge if you can shadow someone to learn. Building weapons that are safe and effective is difficult. The best option is to learn from an experienced builder to make sure you are using good materials and best practices. If you cannot find someone in your group or another group to come and teach you, you will need to use online tutorials. You can find instructions on how to build most gear here. Read the instructions carefully and print them out to have with you while you are making the weapons. You should use the exact materials listed in the instructions- similar materials are often not acceptable and may create an unsafe or short-lived weapon. You should also carefully read the instructions on any adhesives you are going to use to make sure you know how to use them properly. In particular, most adhesives need to be used with adequate ventilation. Before you start on your weapons you should ask any questions you might have about materials or the actual construction techniques in the Foam Smithing section of the web board. If you find weapon’s construction is not for you, then it may be better to purchase from a vendor, but remember all gear no matter who makes it has to be checked for safety. You can find tutorials for checking gear here. 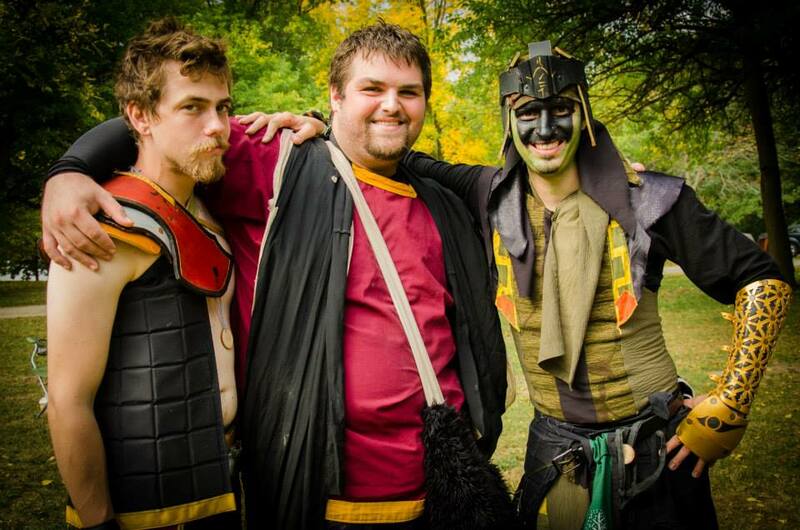 In order to attend events and practices, you will also need to make yourself some garb, or costuming. Even though role-playing does not play a dominant role in Belegarth, we do require that everyone wear at least some level of period-looking garb. There are many cheap and easy ways to make beginner’s garb for yourself. 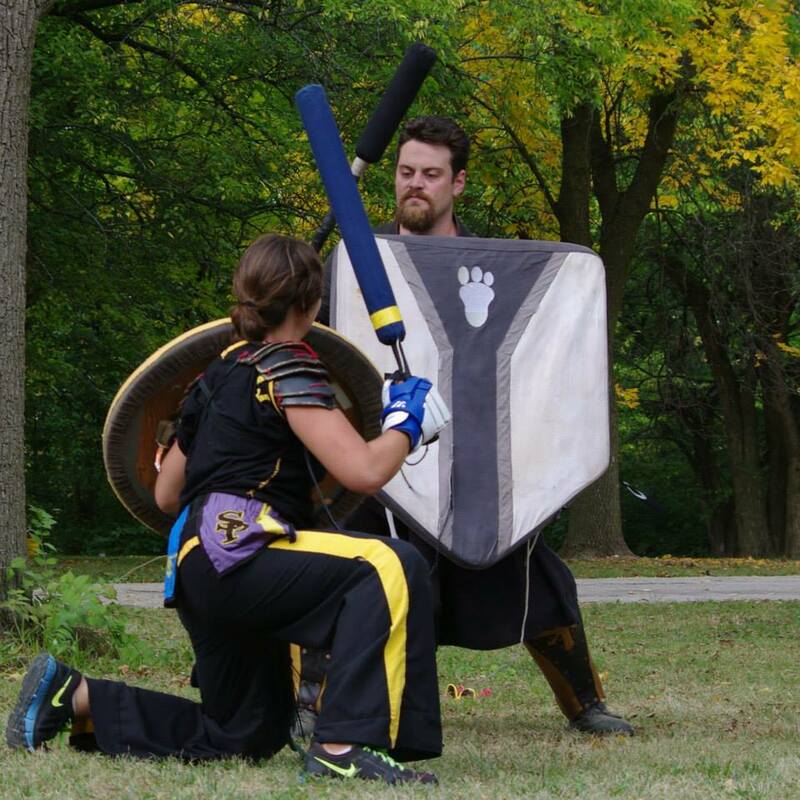 The most common beginner’s fighting garb is very simple. All you will need are black sweat pants, a black T-shirt, and a few yards of cheap cloth. Cut yourself a large rectangle out of the fabric that is about one and a half times your height and the width of your shoulders. Cut a hole in the middle for your head, and presto! You have made yourself a tunic. Wear it over your head with your sweats and tee and tie off your tunic with a belt or rope, and you’re all set for garb. It is recommended that new fighters wear gloves to protect their hands and soft knee pads, but these are not required. Your costume may have a dimple beginning, but you will find that many in the community will be willing to help you get amazing looking garb if that is an interest you share. Often events award those with the best costuming. Here are links for tutorials explaining how to make garb as well as some links to garb vendors. The steps to creating a Belegarth group are easy. You just need to create a consistent, safe, and fun environment! Once you and your fledgling group have weapons to play with, you will want to hold regular practices on the same day/time in a suitable location with access to bathrooms, shade, and water. Public parks or schools are great for this because the public can see you play and it allows you to recruit from passersby. You may need to get permissions to use a location. If you do, always be professional and polite with officials. Always meet at the same time/place as this consistency will let you make business cards or flyers to advertise it to others for increased recruitment and retention. You can promote your group on the Boards and on the Belegarth Wiki so people can find your practice times and location. Being consistent is one of the easiest ways that groups grow. Next, you need to make sure your group is safe. It is good to have a recent copy of the rules on hand if questions arise, and remember that best thing you can do to learn how to be safe is to attend an event to see how the game is played by established groups. For difficult rules questions, you may want to check out our tutorials on being a good Marshal/herald. The marshal or herald is the referee responsible for safety and should always be respected when they are running a practice. A good marshal wears a yellow sash or tabard to indicate they are actively running fighting, and they have the power to remove problem players for dangerous or unsportsmanlike behaviors. Remember, if you and your group are debating what a rule means or if you are worried about a safety issue, you can ask veterans all over the country for how it is played here. 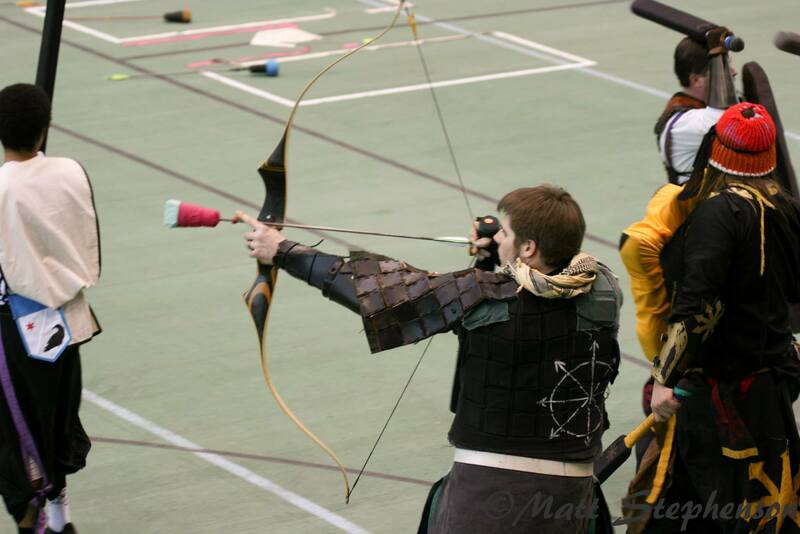 The most important thing to remember is that practices and events must be fun for everyone, meaning that they need to be inclusive, welcoming, and filled with activities like fast-paced fighting or classes on medieval arts and sciences! Belegarth increases in fun exponentially with the more people you have participating. The best place to start out looking for players is in your own friend group. If you enjoy fighting or making medieval crafts, then chances are very good your friends will as well. Ask the people who seem to be enjoying themselves fighting to invite their friends, too, as they may know different people than you. If you tell two friends, and they tell two friends, and so on, you can soon find yourself with a very respectable sized realm! 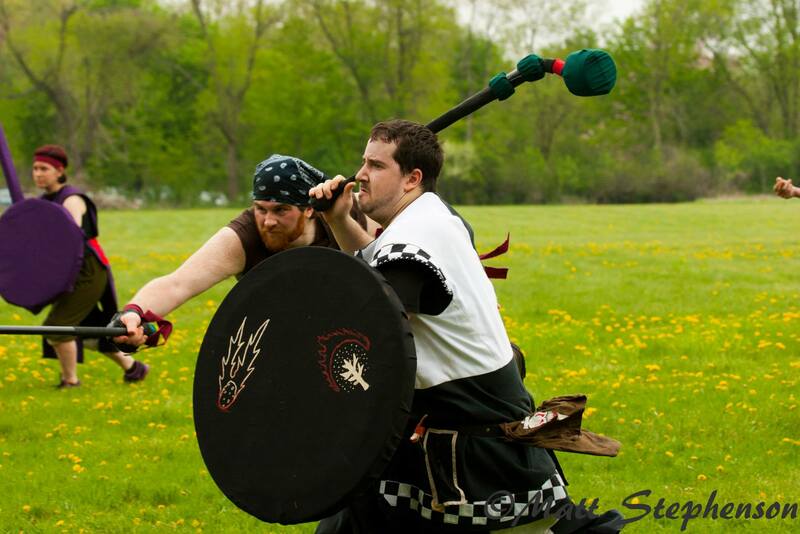 Remember that other LARPs, anime clubs, or RPG clubs may have people interested in playing Belegarth due to its athletic gameplay or its dedication to the medieval arts and sciences. Don’t put down other groups to recruit, but instead talk about how much fun your group is. You will find that the community as a whole will respect you more if you help people find the group that is best for them. Partnering with other local groups can often create a network for recruiting that allows all groups to benefit. After you have a number of people interested in fighting, you will have to start getting organized. To help your group grow, you need to keep practices fun and welcoming toward new people. Encourage excellent sportsmanship by praising good behaviors and encouraging marshals to solve problems, run fun games, and keep practices engaging. Teach each member that they have a personal responsibility to resolve conflict peaceably, and if they feel that they cannot, they have a responsibility to get a neutral 3rd party, like a Marshal to resolve any conflict. After practice, have social gatherings like going out for dinner, seeing a movie as a group in garb to recruit for your practice, or have events where you teach the group how to build weapons and how to make garb. Remember that we are all here to have fun doing Belegarth, so make sure that your friendly and welcoming attitude is consistent in all activities. Once your group has the swing of things – it is time for them to attend a larger inter-realm event. A list of events can be found on our events calendar. If this is your first event, try reading over event guides to know how they work and what is expected and feel free to ask the event coordinators of an event what you need to know and do as a new attendee. They can explain if there are fees for the event and also what you get for them like: camping, prizes, feasts, and activities. Events often showcase the best of Belegarth and let you know how amazing it is to be a part of a world-wide community. If you need help attending an event, just ask – you will find many are excited about getting you to your first event!